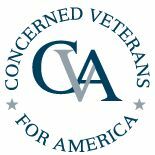 Concerned Veterans for America is a nonprofit 501(c)(4) organization that advocates for veterans. Says Rep. Bruce Braley, D-Iowa, "skipped an important VA reform hearing to attend three fundraisers." Says Rep. Bruce Braley, D-Iowa, missed "79 percent of veterans affairs committee hearings."